A man lives in a farmhouse with his mother and enjoys a pint in his local. He has caring responsibilities but would rather not be tied to the land. Sound familiar? Seen that before recently? Despite the similarities with God’s Own Country, instead of turning into a film about love bursting out on the Yorkshire fells, the elderly mother (played by Stella McCusker) is brutally executed near the start of Bad Day For The Cut, triggering the violent revenge of her son Donal (Nigel O'Neill). Young guys are sent to finish him off and Donal forms an unlikely alliance with Bartosz (Józef Pawlowski), the more clueless of the two. Between his self defence and mechanical digger, the middle-aged farmer easily disposes of the other more deadly attacker. Bartosz joins the bereaved farmer and the unlikely pair travel through Belfast and up and down the Antrim coast in a converted campervan – Donal has a passion for restoring old vehicles – searching for clues as they track down the villainous boss at the top of the criminal tree that seems so set on eliminating his family. Country and western tracks play in the background when they’re driving along. There is something of the wild west about the killing spree that follows, with a wry touch of humour in the way bodies are hauled along the floor and jingly music to hilarify some of the fight scenes. While clearly an amateur militia man, the farmer certainly knows how to wield a shovel, has a good eye for improvising instruments of torture from household objects, and carries a double-barrelled shotgun for so much of the film it’s a relief when he finally fires it. 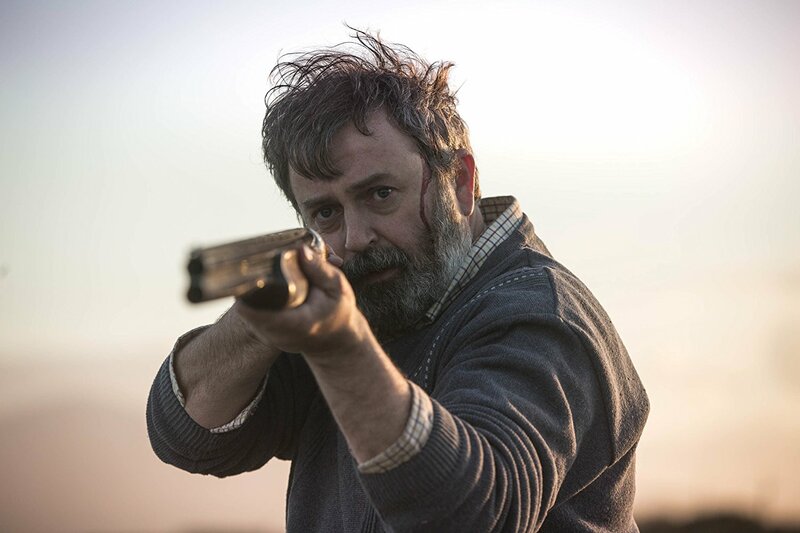 We witness Donal’s capacity to fend off varying degrees of mediocre gangsterism as the storyline works its way up the chain of command (through countless familiar faces from local theatre and television). Bartosz sticks around in the hope of finding and releasing his sister (Anna Próchniak) who is working in a brothel high up in Obel Tower for reach top dog Frankie (Susan Lynch) and her suave handyman Trevor (Stuart Graham). From early on in the film it’s clear that Donal’s Mum must have taken some secrets to the grave to explain her being targeted. Yet the real confusion in the film stems from the overcomplicated array of villains that begin to litter the ninety nine minute plot and some odd editing that unwittingly misdirects viewers by showing a roadsign that explains a destination before cutting to a completely different location with another group of characters, and allows people with no transport to travel long distances at night. Nigel O’Neill combines being gruff with being menacing and yet also naïve as he seeks revenge. 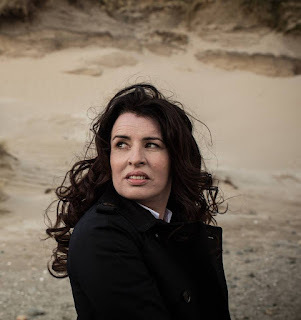 Susan Lynch makes a great supervillain, bringing a sense of evil purpose to the role along with her snowy white blouses that disguise her blood-soiled heart. Józef Pawlowski and Anna Próchniak’s subplot adds a richness to the storyline and lifts it away from the terrorism roots that start to grow into the traditional bedrock of NI cinema. This is Chris Baugh’s debut feature as a director, co-written with producer Brendan Mullin. It’s very watchable, has a satisfactory ending and bodes well for further productions that they bring to the silver screen. 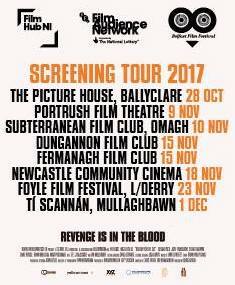 Bad Day For The Cut is being screened in the Queen’s Film Theatre from Friday 20–Thursday 26 October, and courtesy of Film Hub NI it will be touring through Ballyclare, Portrush, Omagh, Dungannon, Fermanagh, Newcastle, Derry and Mullaghbawn, though hopefully not in the blood strewn camper van. The film will also be available on demand from iTunes from 23 October but it deserves to be seen on the big screen. Disclaimer: My brother in law and his wife are the brains behind it!